Pulau Biru Surf, Badung, bali. Information, Photos and Reviews. Seeing the people with their smile after the first ride is what keeps me love surfing and teaching. Nobody has reviewed Pulau Biru Surf yet, Be the first. You are submitting a booking enquiry. 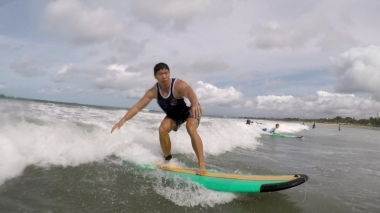 Pulau Biru Surf will then contact you by email with details of availability and prices.